Shipping this week (March 17th in the US, 18th in the UK) is the first issue of Transformers: Nefarious, the bone fide, accept-no-substitutes (comic book) sequel to Transformers: Revenge of the Fallen, written by me with art by Carlos Magno. So what can you expect from this six-issue series? Well, for a start, a much bigger role in the movie-verse for Soundwave, the Decepticons’ thus far unsung master of global information and strategy. He’s detected a distinct anomaly, one that no amount of data dissemination can explain. Namely, Ravage, functional and active despite his spine-tingling encounter with Bumblebee in ROTF. Soon, the existence of another big power in the battle for Earth becomes apparent: the Initiative, a human-based organization with a whole lot of claws sunk very deep in the fabric of Cybertronian science and lore. So much so, that their ultimate aim is to… well, never mind. The first issue reveals, if not all, some of the staggering secrets of Project: Nefarious. Needless to say, both the Autobots and the Decepticons are soon dragged into the escalating crisis, and nothing in the TF movie-verse will ever be the same again. Expect shocks, surprises, characters making their debut (a few unique to Nefarious) and much much more! For more info on all new Transformers releases from IDW, check out there website here. Is up! My latest round up/review of a mostly random selection of comics from the February shipping list can be found at Totalscifionline.com, including my review of Nick Roche’s Last Stand of the Wreckers #2 and many others. You can check it out here. 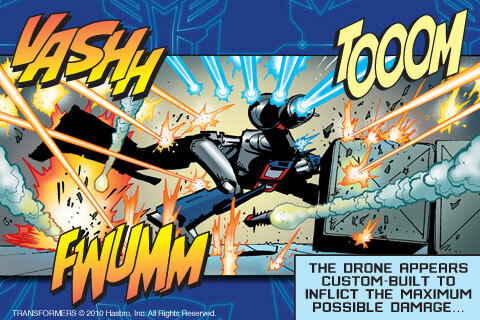 The digital era of Transformers comics advances yet another stage, with the release of Titan’s UK Transformers comics on I-Phone, beginning with the first of Titan’s movie-continuity stories featuring Optimus Prime (written by me, with art by Geoff Senior). To download, go here. For a sample of what’s on offer, click this YouTube link. Yep, more of IDW’s fine Transformers comics, including a goodly quota written by yours truly, have been released in digital form for Sony’s PSP digital comics service, among them Transformers Spotlight: Hardhead, Transformers Spotlight: Double Dealer, Transformers Spotlight: Sideswipe and Transformers: All Hail Megatron #13. For more info go here. You are currently browsing the simon furman blog archives for March, 2010.